Epigenetic modulation of gene activity occurs in response to non-genetic factors such as body weight status, physical activity, dietary factors, and environmental toxins. In addition, each of these factors is thought to affect and be affected by the gut microbiome. A primary mechanism that links these various factors together in mediating control of gene expression is the production of metabolites that serve as critical cofactors and allosteric regulators of epigenetic processes. Here, we review the involvement of the gut microbiota and its interactions with dietary factors, many of which have known cellular bioactivity, focusing on particular epigenetic processes affected and the influence they have on human health and disease, particularly cancer and response to treatment. Advances in DNA sequencing have expanded the capacity for studying the microbiome. Combining this with rapidly improving techniques to measure the metabolome provides opportunities to understand complex relationships that may underlie the development and progression of cancer as well as treatment-related sequelae. Given broad reaching and fundamental biology, both at the cellular and organismal levels, we propose that interactive research programs, which utilize a wide range of mutually informative experimental model systems—each one optimally suited for answering particular questions—provide the best path forward for breaking ground on new knowledge and ultimately understanding the epigenetic significance of the gut microbiome and its response to dietary factors in cancer prevention and therapy. In mammals and other eukaryotes most of the genome is transcribed in a developmentally regulated manner to produce large numbers of long non-coding RNAs (ncRNAs). Here we review the rapidly advancing field of long ncRNAs, describing their conservation, their organization in the genome and their roles in gene regulation. We also consider the medical implications, and the emerging recognition that any transcript, regardless of coding potential, can have an intrinsic function as an RNA. Obesity alters gut microbial ecology. We have analyzed 5,088 bacterial 16S rRNA gene sequences from the distal intestinal (cecal) microbiota of genetically obese ob/ob mice, lean ob/+ and wild-type siblings, and their ob/+ mothers, all fed the same polysaccharide-rich diet. Although the majority of mouse gut species are unique, the mouse and human microbiota(s) are similar at the division (superkingdom) level, with Firmicutes and Bacteroidetes dominating. Microbial-community composition is inherited from mothers. However, compared with lean mice and regardless of kinship, ob/ob animals have a 50% reduction in the abundance of Bacteroidetes and a proportional increase in Firmicutes. These changes, which are division-wide, indicate that, in this model, obesity affects the diversity of the gut microbiota and suggest that intentional manipulation of community structure may be useful for regulating energy balance in obese individuals. The sequences reported in this paper have been deposited in the GenBank database [accession nos. DQ 014552--DQ 015671 (mothers) and AY 989911--AY 993908 (offspring)]. The relevance of the non-coding genome to human disease has mainly been studied in the context of the widespread disruption of microRNA (miRNA) expression and function that is seen in human cancer. However, we are only beginning to understand the nature and extent of the involvement of non-coding RNAs (ncRNAs) in disease. Other ncRNAs, such as PIWI-interacting RNAs (piRNAs), small nucleolar RNAs (snoRNAs), transcribed ultraconserved regions (T-UCRs) and large intergenic non-coding RNAs (lincRNAs) are emerging as key elements of cellular homeostasis. Along with microRNAs, dysregulation of these ncRNAs is being found to have relevance not only to tumorigenesis, but also to neurological, cardiovascular, developmental and other diseases. There is great interest in therapeutic strategies to counteract these perturbations of ncRNAs. Cisplatin-induced erythroid differentiation in K562 cells: modulation of transferrin receptor. Human galanin modulates human colonic motility in vitro. Characterization of structural requirements. Dietary Macronutrient Composition Affects the Influence of Exogenous Prolactin-Releasing Peptide on Appetite Responses and Hypothalamic Gene Expression in Chickens. 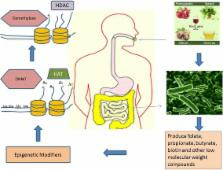 Gut instincts: microbiota as a key regulator of brain development, ageing and neurodegeneration.